I love the North. I don’t know why and I know it’s not very common, specially from someone who comes from Spain, specifically from the Canary Islands. People are always looking for warmer places and tropical beaches for their holidays. But I prefer colder destinations. And it’s not because I’m a fan of cold, I’ve never liked it. But every time I have to think where I would want to spend a holiday, I always end up looking North. I guess it all started when I visited Sweden for the first time. It was in August and I went to Stockholm for two weeks. To be sincere, Sweden wasn’t a place that attracted me by then. I only wanted to spend my summer holidays with my boyfriend. I didn’t even know anything about the city. The weather was horrible for most part of the time I was there, rainy and cold (specially cold for a Spaniard! )… But, surprisingly, I fell in love with Stockholm. And less than two years later, I left everything in Spain and I moved to Sweden. And since then, I have this special feeling for the North. 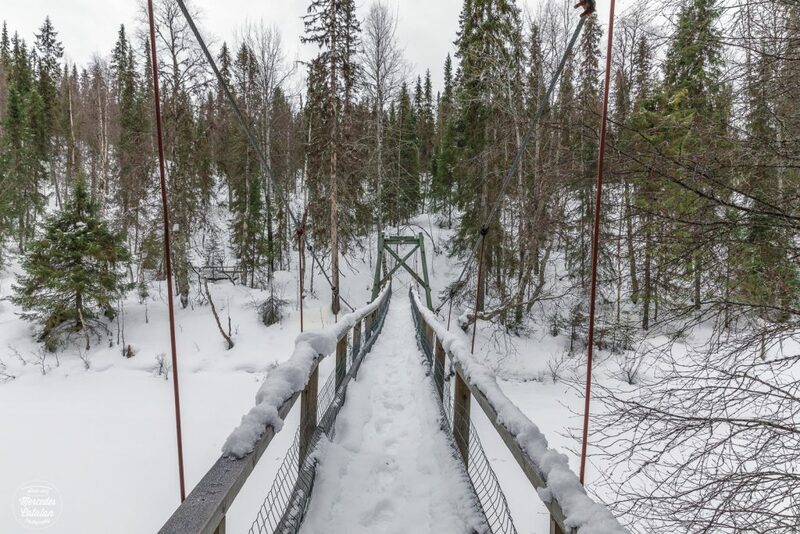 My husband told me a few months ago that he had the opportunity to go to Finnish Lapland for a few days and that we could spend a few days there too exploring the region. 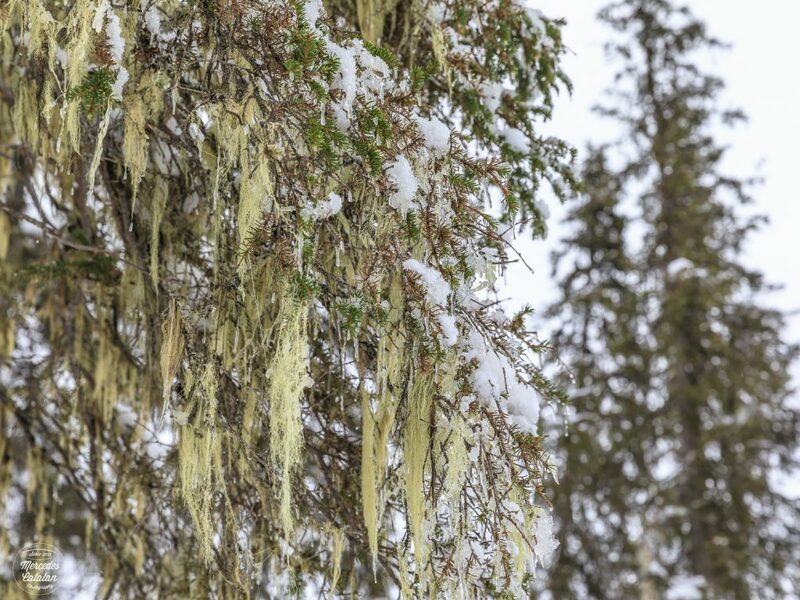 I immediately started dreaming with infinite snowy landscapes and forests, with reindeer, moose, red squirrels… We couldn’t have chosen a better time to go there. While in south Europe the end of March means spring, in Lapland it only means a few more daylight hours. The cold remains for a few more weeks, there’s still plenty snow and more falls every now and then. But the cold is not as extreme as in December or January. 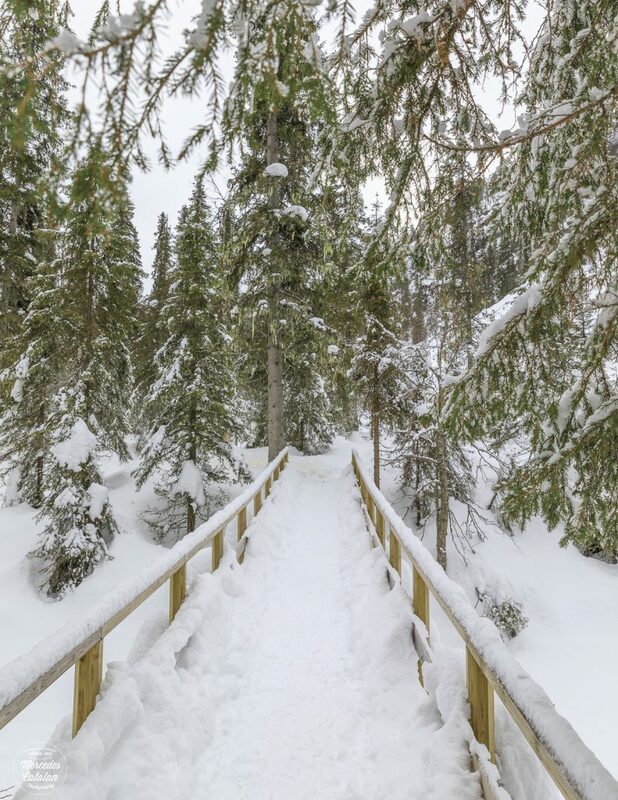 That makes March the perfect time to travel to Lapland. As we did in other places, we planed a road trip, from Rovaniemi (the “capital” of Lapland and home to Santa Claus) to Inari, at 265km from the Arctic Circle. In this occasion, the distances we drove weren’t as long as in other trips, as the roads are still covered in snow and ice. We mainly visited National Parks, where we could hike and walk with our snowshoes. Here are some photos I took during our first day in Lapland. 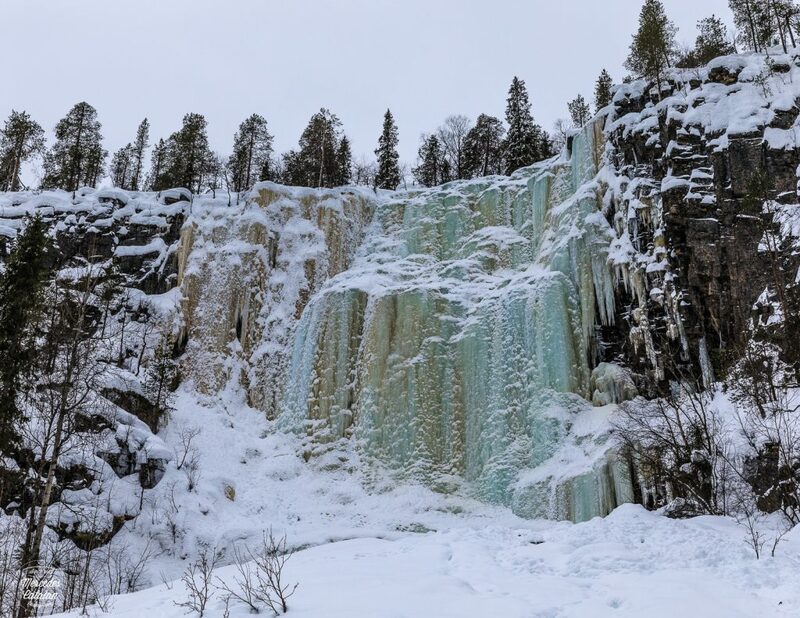 We visited two places near Rovaniemi: the waterfall Auttiköngäs and the Korouoma canyon, where there are three more waterfalls. Of course, all of them were frozen and covered with ice and snow, but the landscape was still beautiful. I hope you like them!  Preciosas fotografias, parecen sacadas de un cuento o una historia misteriosa. Y tu relato de como te atrapa el invierno del norte es muy fantastico y revelador del magnetismo y hechizo que produciran esas tierras. Muchas gracias Maria!! 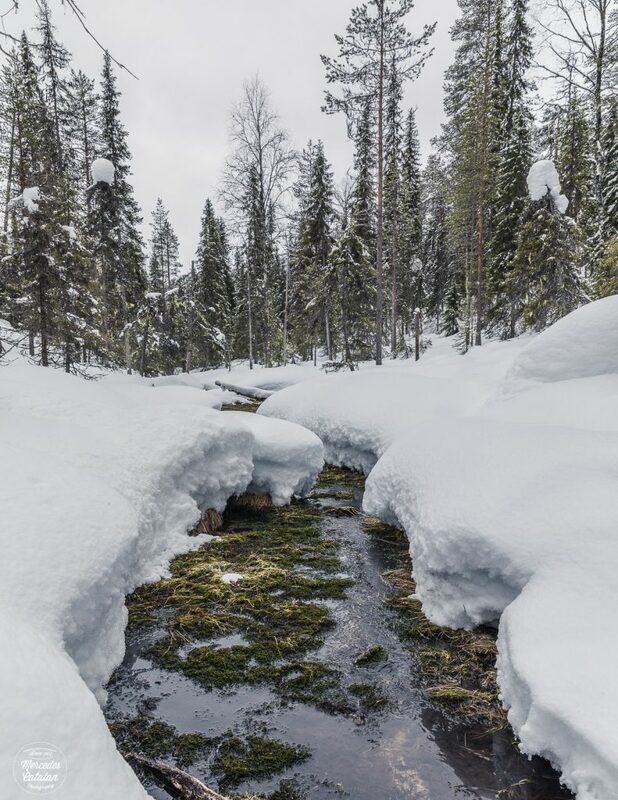 Laponia es sin duda uno de los lugares más bonitos que hemos visitado… frío, solitario y aun así, cargado de magia!!! Thank you for taking me to Lapland! Your pictures are amazing. I could feel the ice crystals on the trees. When you wrote that you could hear the sound of your own breath, I wondered about hearing the camera shutter click! Thank you, Anne! 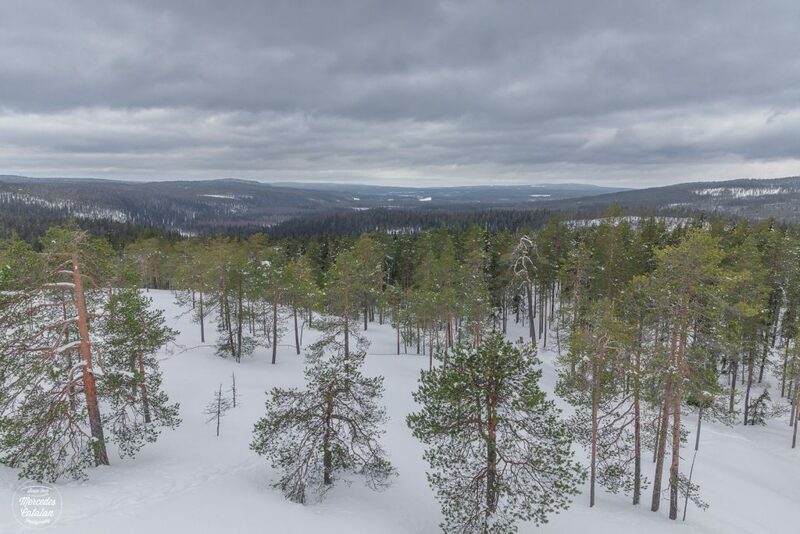 I’m so glad you liked these first impressions of Lapland! It’s been such a great adventure! The silence… I’m still impressed by it! 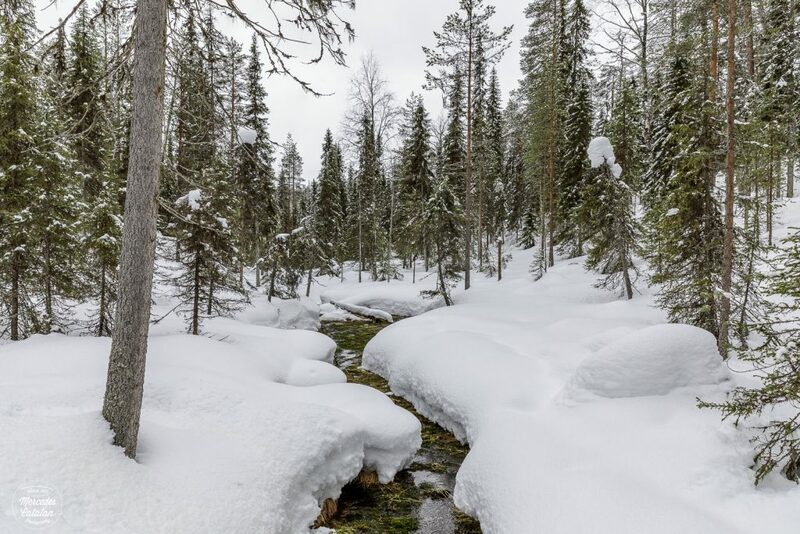 I though Swiss winters were quiet and silence… but it’s nothing compared to what I experienced in Lapland! There the silence is sooo intense and deep! 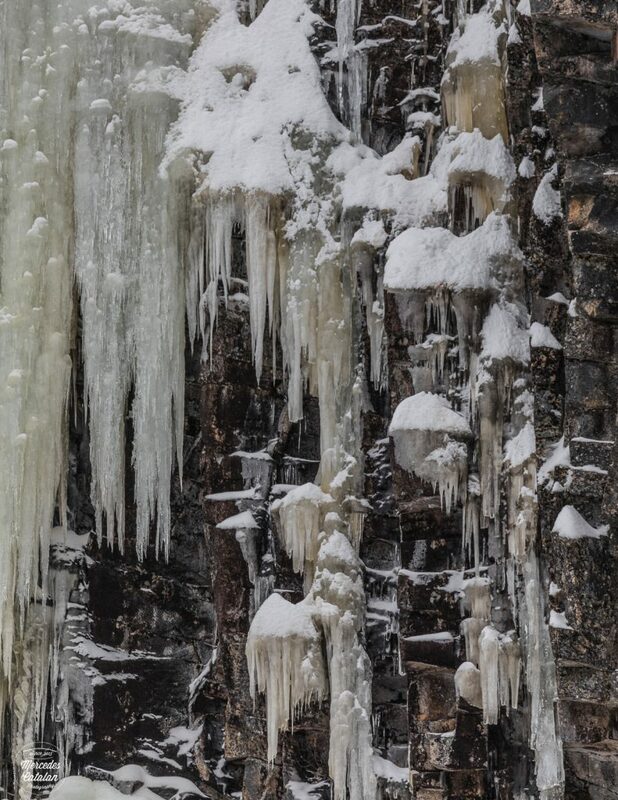 You can hear the water flowing under the frozen rivers, the cracks of the ice and snow… Imagine the sound of the shutter!! Even if I tried to use the silence mode a lot, there it was as if I were still using my old small 1200D (the shutter of the small DSLR sounds sooo loud compared to the bigger models!!). Eventually, I lost all hopes to find any wildlife in the forest with so much noise, even if we were hiking in protected areas and natural parks, where supposedly there was a lot of wildlife! I found myself being jealous of foxes and other animals that walk so quietly!! I’m happy you liked it! Now that you mention it, I remember that too: hearing nothing but the sound of my own breath… and my own squeaky footsteps. Which also means… no birdsong, no life. It’s exotic even for me. I’ve never heard of either place – which is no wonder, I’m no Lapland expert at all! – and the names sound exotic, I’m thinking they maybe originate from the Sámi language. I found those two places just looking in Google maps! 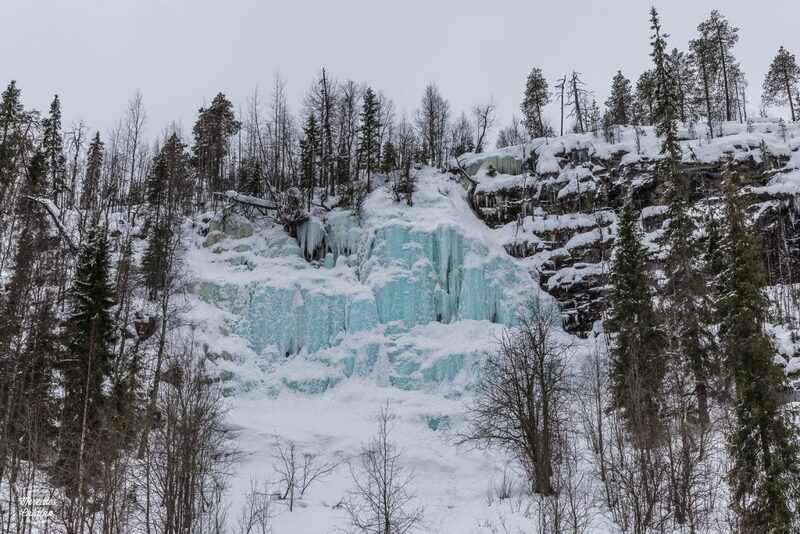 I’m sure they look way better during summer or autumn, but for the first day I didn’t wanted to get very tired driving far from Rovaniemi and hiking many km… It was kind of a test day for us, learning how to drive on frozen roads and all. The best thing is that we hardly met any other people at these locations (but a lot of reindeer footprints all over the forest!! 🙂 ). I loved your pics and am looking forward to more! 😊 And I also do that: look at a map abroad to spontaneously decide where to go! Preciosas fotos Mer. Son de profesional. Me gustan mucho. Isaac. Mer, what a fab post. 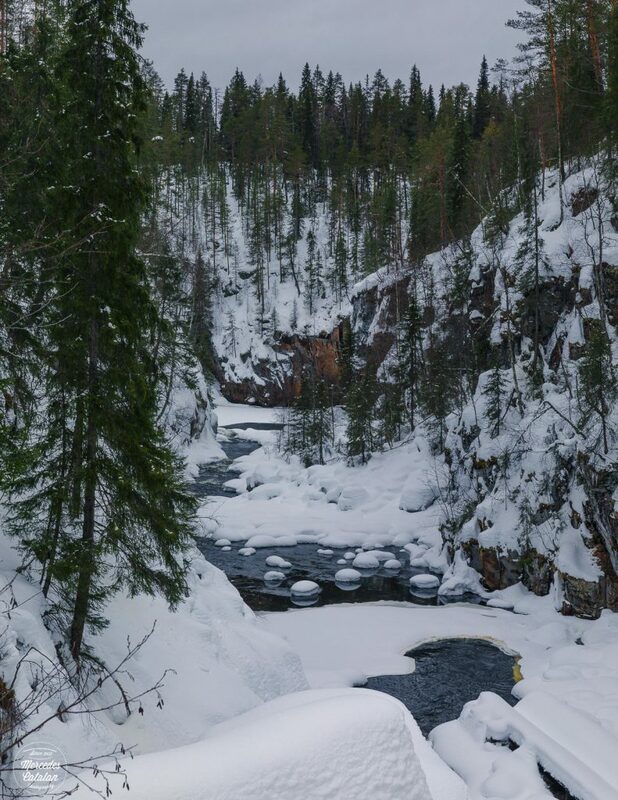 You know it has been a dream of mine to explore the Northern countries and especially Lapland. I tried a few years back but the trip offered was a return within 24hrs and was so expensive, I never looked into it further. So it is so lovely to get to “visit” this region through your lenses, what a privilege! I think it is funny you love the cold so much…..although I am getting like you and finding myself more dawned to the Northern Latitudes than the sunny southern countries. Love how you describe your trip with hours without the mass tourism, just alone with the unspoiled wilderness and the open road. That is what dreams are made of. But the trip is so worth it! I’ve never been in such an unspoiled landscape… I think I can only compare it to Iceland, the feeling of total solitude and isolation you feel while driving or hiking in Lapland… and yet, there are a few places that feel a bit overcrowded already in Iceland, I never got that feeling in Lapland… maybe because it was low season? I’m not sure, because even the ski resorts seem so small there! !